Hi guys/girls. 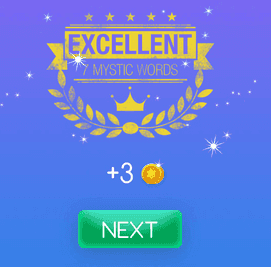 Welcome to Mystic Words Red level 40 answers. Remember to look only the answers to the clues you are blocked. There is no fun if you see all the answers before trying to solve them first. A small personal radio receiver 5 letters answer, click here! Unequivocal 11 letters answer, click here! A hero from Shakespeare’s tragedy 7 letters answer, click here! Buying and selling 7 letters answer, click here! Announcing something to come 8 letters answer, click here! Key or handle for winding a clock 6 letters answer, click here! Room underneath a building 7 letters answer, click here!